When you are trying to save money and set up a budget, you may be looking for the cheapest option for everything from new shoes to your cable bill. But keep in mind that there are times when paying a bit more will help you save money. For instance, think about how long you are going to use something, if it will need to replaced or if buying a higher-quality item will last longer, even your personal habits when it comes to spending. It sounds counterintuitive, but there are actually situations where spending more will save you money in the long run. Menu planning can save you a lot of money, but in order to be successful at it, you need to go grocery shopping. 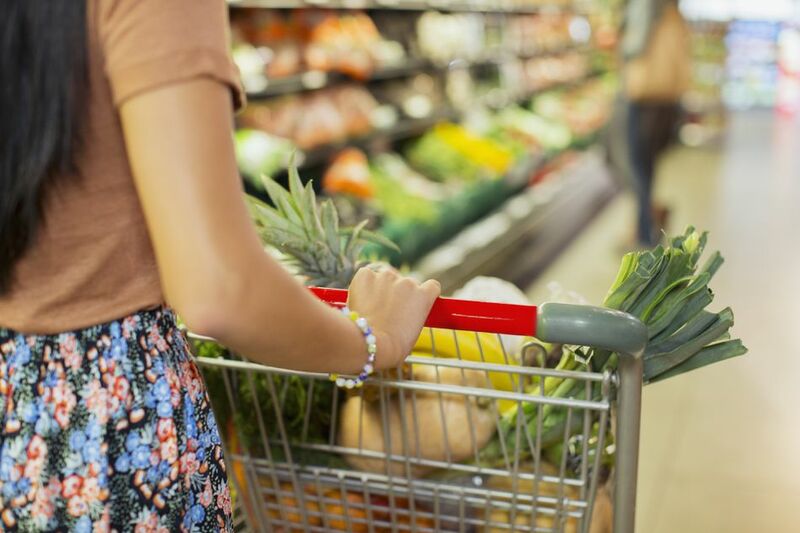 Not only is it time-consuming, but grocery shopping can also get expensive if you are an impulse shopper and stray from your list. In this case, you can save money if you order groceries online, essentially paying someone to grocery shop for you. Many stores offer an online shopping option, which they either delivery or you can pick up at the store. Depending on the store you may have to pay a fee for the shopping. This hack will not only save you time, the fee is probably less than what you'd spend on impulse purchases in the store. It's a win-win. While living in a nicer neighborhood may equal higher rent or mortgage payments, it can save you money in the long run. First, your homeowner's, renter's and even your car insurance payments will likely be lower, since you live in a nicer area. Another plus? You may just save money on your commute, since more expensive areas are usually located in more desirable areas, such as within city limits or near places of business. Also, consider the public transportation and neighborhood options that can help you save on your commute and prevent you from needing a car. You may also be able to save money on your gym membership since nicer apartments can have free or included fitness centers. Utilizing a meal delivery service is a great way to save money if you are trying to transition from eating out every night to cooking at home. The delivery boxes offer options that make it easy to cook at home, and often come with ingredients and easy-to-make recipes. It is a great way to get used to cooking at home and can help you build your confidence in the kitchen. They will also save you money when it comes to buying expensive ingredients for new recipes, like spices. Eventually, you will want to transition to creating your own menu and save money that way. Another way to save money with meal delivery options? Take your leftovers to work the next day for lunch. When you are shopping for big-ticket items like furniture, appliances, or even clothing, it may be tempting to buy the cheapest items that you can find. But you may actually save money by choosing classic items that were made to last. For example, if you buy a $400 vacuum that lasts you ten years, it will cost you roughly $40/year. But if you choose to buy the cheaper, $100 vacuum and it only last two years, it will cost you $50/year. To ensure you're buying high-quality items, research any big purchases before you buy. Check online reviews, research the manufacturer, even read publications like Consumer Reports. When it comes to clothes and furniture, choose items that will last through trends, but are easy to update so that you can refresh the look without buying new furniture. When you are trying to save on food costs, you may be tempted to try to cut back by choosing cheaper processed foods or canned goods. However, this can end up costing you more as it negatively impacts your health. Additionally, if you are not excited about the food that you are making for dinner, it is easier to buy takeout on the way home. Try shopping around for organic, healthy foods. For example, Trader Joe’s tends to be a bit less pricey than Whole Foods on many items. You can shop at the farmer’s market or join a Community Supported Agriculture (CSA) share to save money on fresh locally grown produce. You can also look into buying in large quantities to save money. It can be frustrating to have to pay to shop somewhere. It seems counterintuitive to pay to go to a store or to save on shipping. However, memberships to warehouse clubs like Costco and Sam’s Clubcan save you money especially if you buy in bulk. Similarly, you may be able to save with online memberships like Amazon Prime, which sometimes offers lower prices on certain items to members, plus free shipping and video streaming. However, you should still compare the prices of different memberships. Additionally, you need to be sure that you will use your bulk items before they go bad. If you are throwing things away, then you are not really saving money. Properly storing bulk items like rice and flour can help them last longer. Owning a home may cost more than renting, especially when you consider the cost of home maintenance and property taxes. However, buying a home allows you to build equity and will give you the chance to save money and increase your overall net worth. However, you should be sure you are ready to buy a home before you do it. But first, be sure you find a home that you can afford. When looking at condos or townhomes, be sure you factor the monthly maintenance fees into your overall payment. It helps to have a solid down payment in place. You should also have a solid budget that you can stick to so that you do not end up house poor and resent your decision to purchase a home. Insurance can be expensive and there may be times when you do not want to pay for it. If you are healthy, it may seem like a big chunk of your paycheck goes to covering health insurance. You may have similar feelings about car and renter’s insurance. However, if you do end up with an emergency, you can end up spending thousands of dollars without insurance. Look for discounts through your work or your alumni association. You can combine policies for discounts. Adjusting your deductible up can also help you save on monthly insurance premiums. If you are serious about working out, purchasing a few pieces of gym equipment and canceling your membership may save you money over time. The savings really depend on how much you spend on a gym membership. Additionally, space may be a factor for you and so something that folds up may be better than larger pieces. For example, free weights may be a better option than a weight machine. Shop around for quality equipment that is not too expensive. You should also only purchase the type of equipment you normally use at the gym. Don't buy something just because it's on sale or you think you might start using it. It is important to set aside money each month that you can spend on entertainment or things that you just want and do not necessarily need. This may seem counterintuitive, especially if you are on a bare-bones budget and money is tight. But having some fun money set aside will make sticking to a budget that much easier. Here's why: When you cut back too much, you often end up frustrated and then blow your budget in the process. You'll likely end up spending way more money this way than if you had simply set aside some fun money in the first place. It's important to stick to the amount you budgeted. It can help to do this primarily in cash or if you spend most of your money at one online location, but a gift card for each month to that site. You also need to factor fun money into your budget. If money is really tight, it may be just $20 a month.